Many people forget tradie’s utes are as much an SUV as they are work horses. 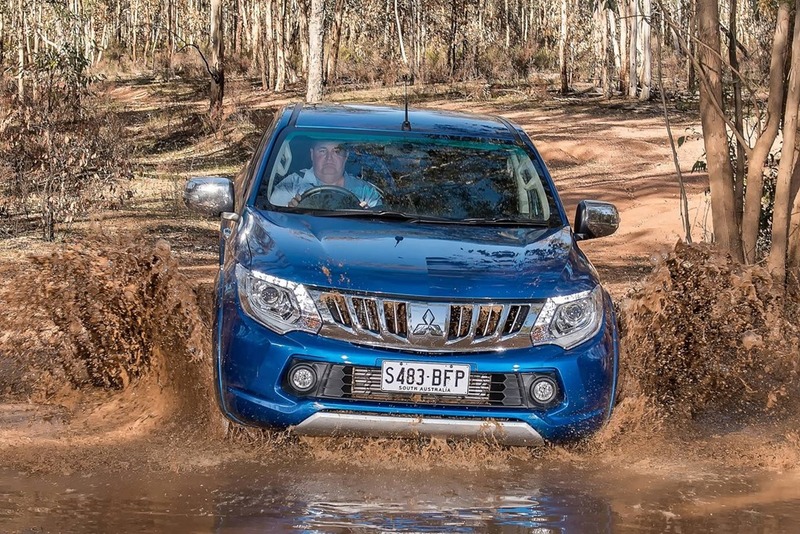 With 6 of the top ten car makers being Japanese, it is no surprise Australian’s scoops up their SUVs like kids in a lollie shop. 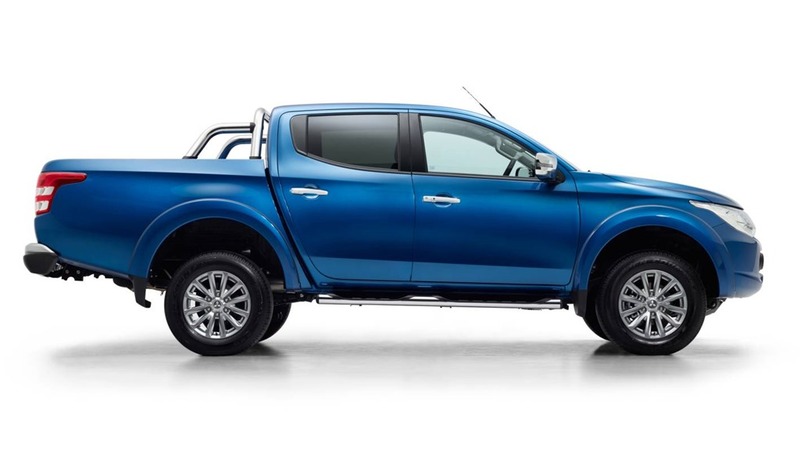 Mitsubishi’s best seller is the Triton twin cab. It has 4 seats, 5 if you’re all very good friends, and a 2.4 diesel with 133kw and 430 Nm. We had the 5 speed auto but there are 6 cogs if you opt for the manual instead. 5 gears in the auto seems a bit last week but the changes are smooth and on the highway you hardly notice at all. The paddle shifters seem a bit hopeful because that’s about as sporty as the drive would ever get. 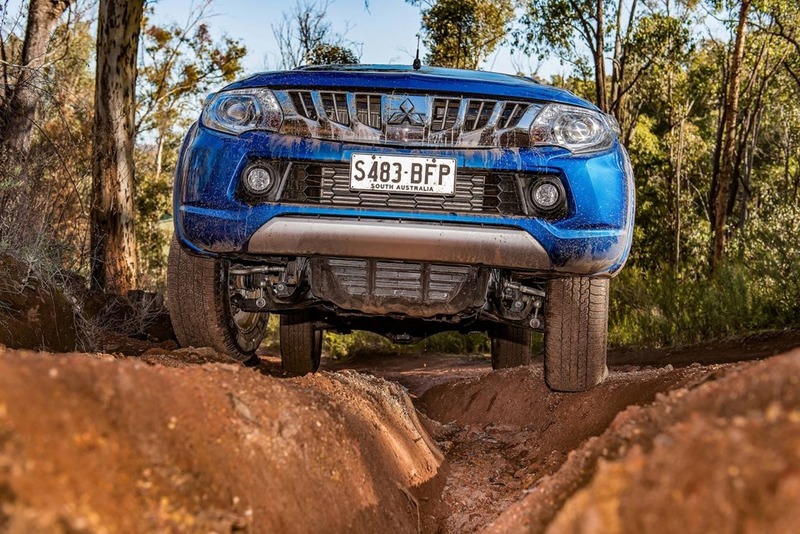 Some SUVs drive like a regular car, however, the huge tyres on 17” rims, high stance, and a kerb weight of 1996kgs leaves you in no doubt you’re driving a big pick-up rather than an SUV built on a regular car platform. 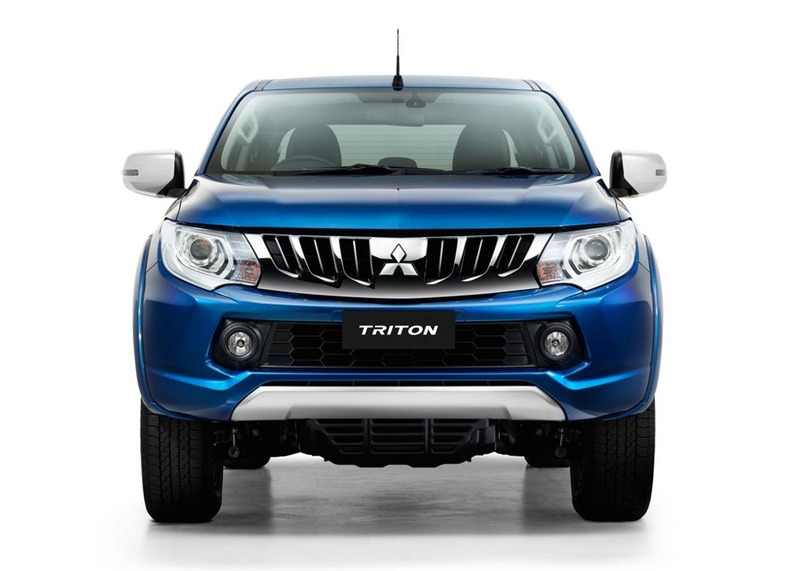 In short, although the Triton is very easy to drive, it still drives like a truck. It looks big and butch from the outside. It’s handsome, for a ute. The term “pick-up” is used to describe the ilk but it sounds so terribly American. You climb up into the cabin to the grab handles come in handy even for a tall bloke. The rear (1520mm x 475mm) tray will take 935kgs of stuff and you can tow 3,100 kgs with a trailer. You’re probably thinking that you aren’t a tradie so paying just under $50,000 (on the road NSW) seems like a lot but for a bit extra you can add a canopy giving you the best of both worlds. Triton doesn’t score the Apple Car Play infotainment system but the standard Mitsubishi audio head unit is still pretty good stuff. Exceed gets a decent Satnav app and the is some other adjustments within the menu system to round off the usability of the cabin tech. OK, the sound won’t fool you into thinking you’re in Carnegie Hall but neither will you be disappointed. There are no fancy lane keeping devices and blind spot monitoring is just a distant dream. It’s not a total loss as there is keyless entry/start and a fairly small 11.8m turning circle. The week was spent as usual doing bits of shopping as well as ferrying “friends in need” to and from the airport, as well as the usual dross of daily life. The CBD driving was surprisingly simple. I thought the size might have been a problem but the seat height means the view makes maneuvering far easier than you’d think. Surely, the highlight was a trip to the mountains. 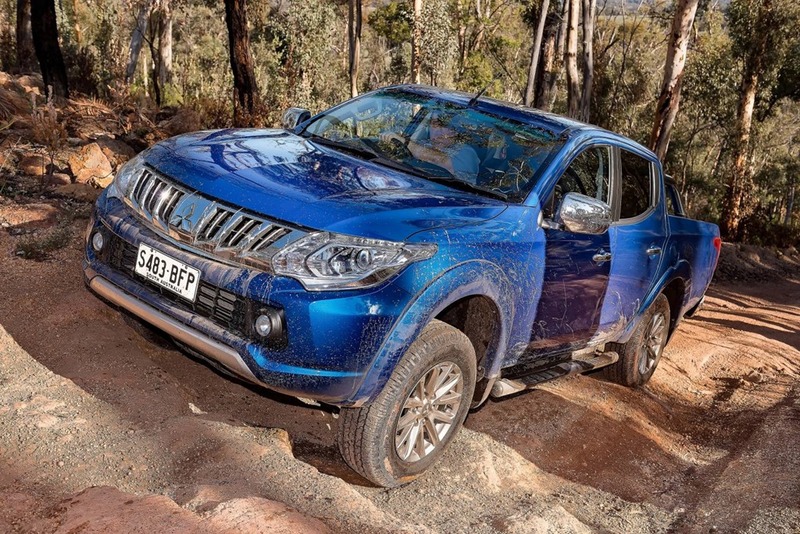 I wasn’t at all convinced as to the veracity of Mitsubishi’s claims of highway ability, let alone tackling the steep winding goat track into the wonderful Blue Mountains. In fact the highway was a pleasant surprise. 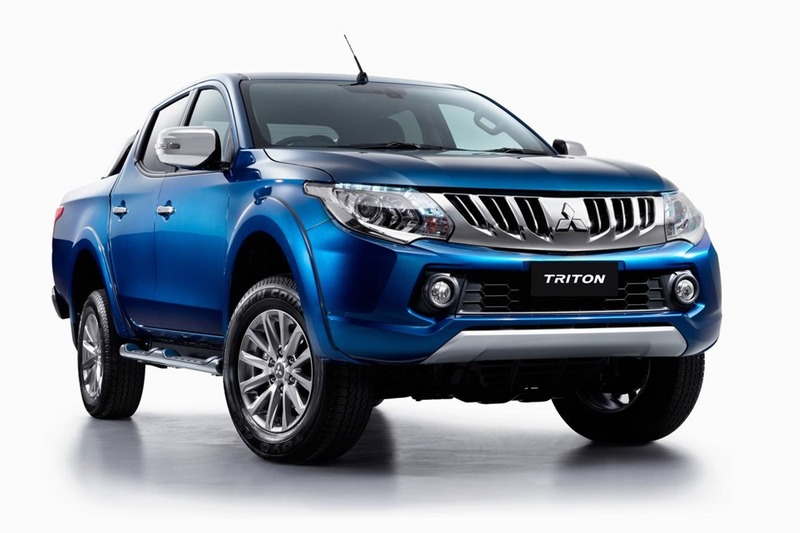 The Triton felt rather more posh than it had any right to. The ride is surprisingly smooth on paved roads regardless of their condition, which is usually not brilliant. I was similarly impressed by the sound proofing which allowed very little of the outside noise penetrate. Having said that, the tyres we a trifle rambunctious from time to time especially on the gravel-chip bitumen. Since they’re ready for a spot of off-roading, we will forgive them this slight transgression. There is decent leather to add a certain verisimilitude to the range topper. The general ambience is restful and well-appointed with a cabin that seems spacious yet cosy. All in all, a very nice place to be. 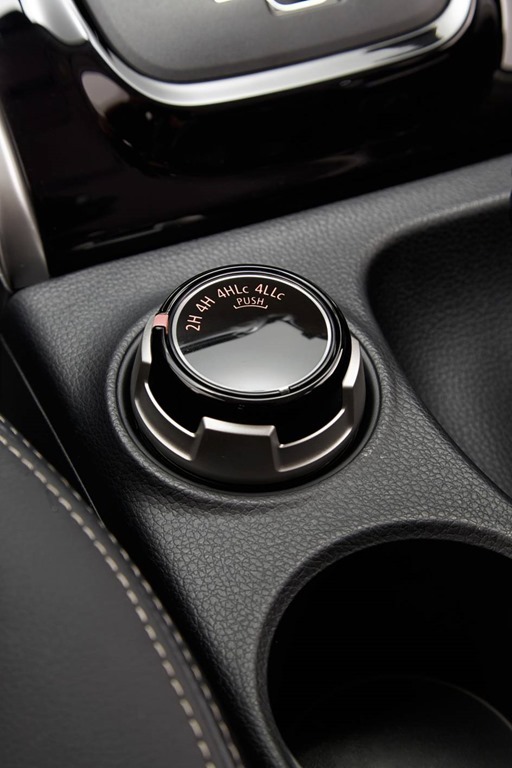 Our 4WD model came with a 4-mode selector which can be used at speeds of under 100kph. 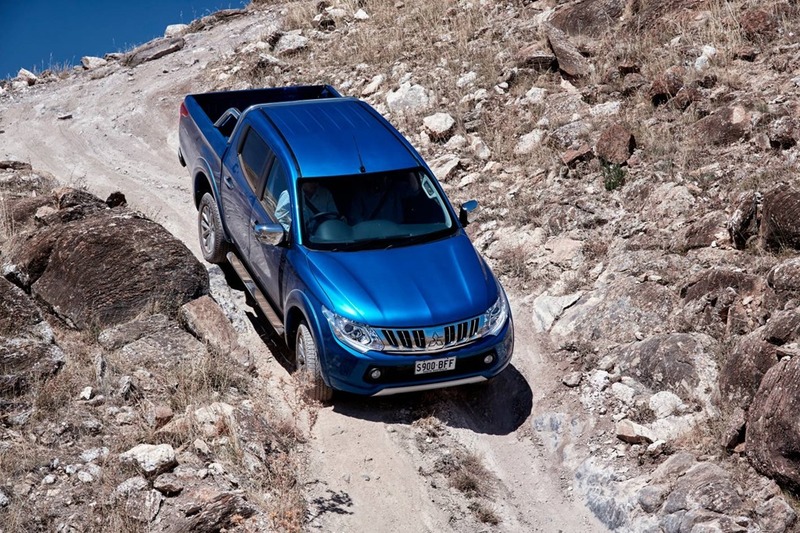 You can change from high and low ranges, 2 and 4 wheel drive with a locking centre differential. Although the power is modest at 133kw, the 430Nm of torque shifts big loads, and after all, tradies and big loads go together like gin and tonic (or better still, sweaty and chest). I thoroughly enjoyed myself sitting so high above the rest of the traffic. 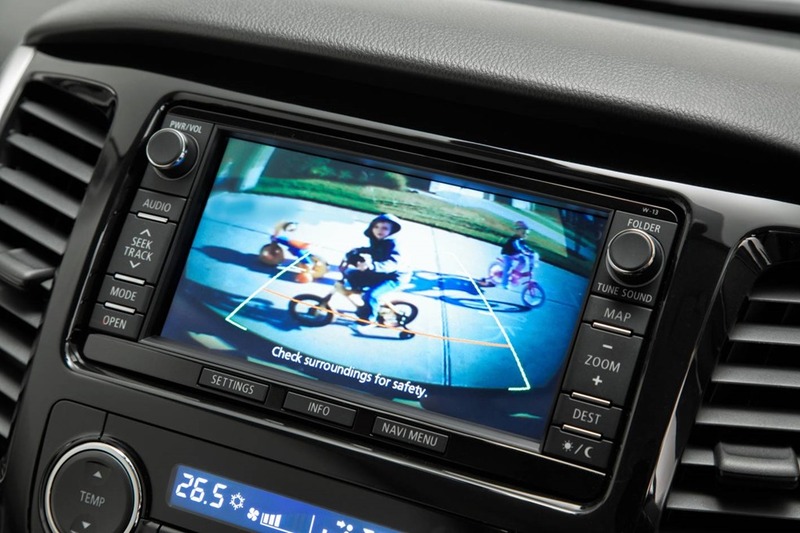 You quickly get used to taking up almost any given parking space, but the reversing camera seems to cover a multitude of sins. 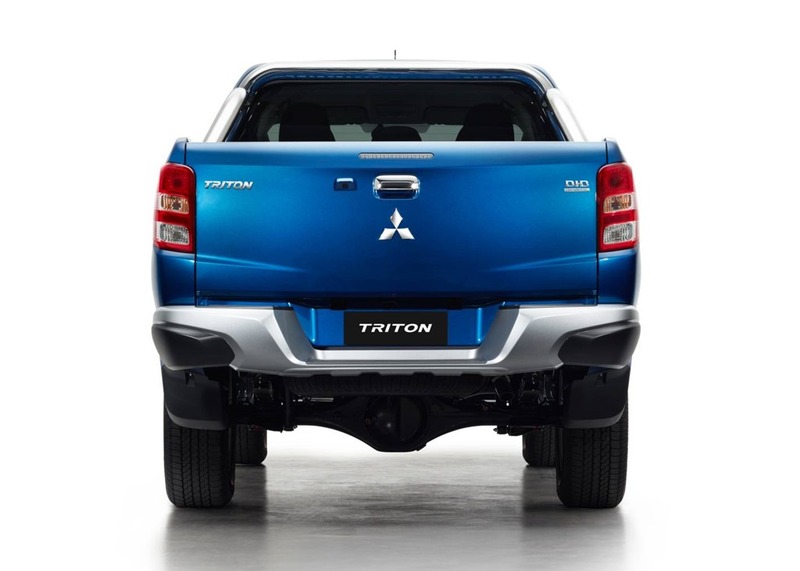 A driver of even modest ability should be able to manage Triton in a shopping centre carpark. The fuel figures are not too wide of the claims, for a change. There is real 4 wheel drive system and enough space for 5 properly sized navvies and all the gear they could possibly want. 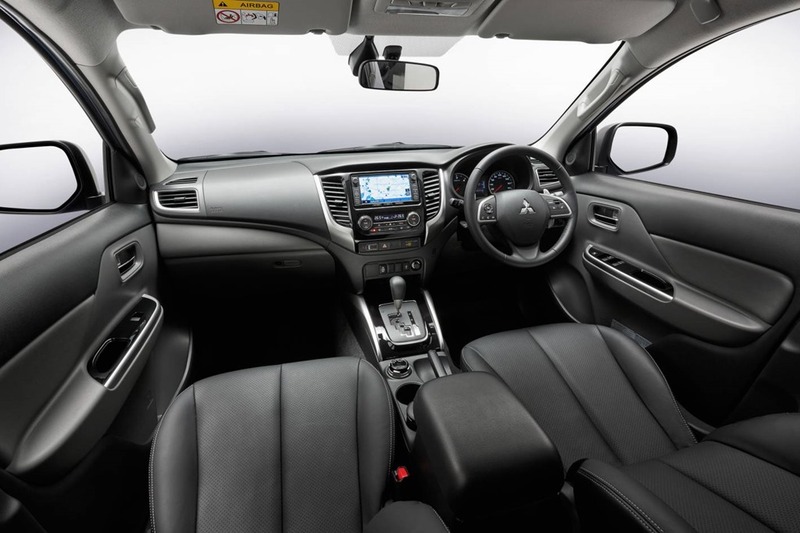 The ride is comfy and the cabin classy and as far as value goes, that’s something only a buyer could judge. 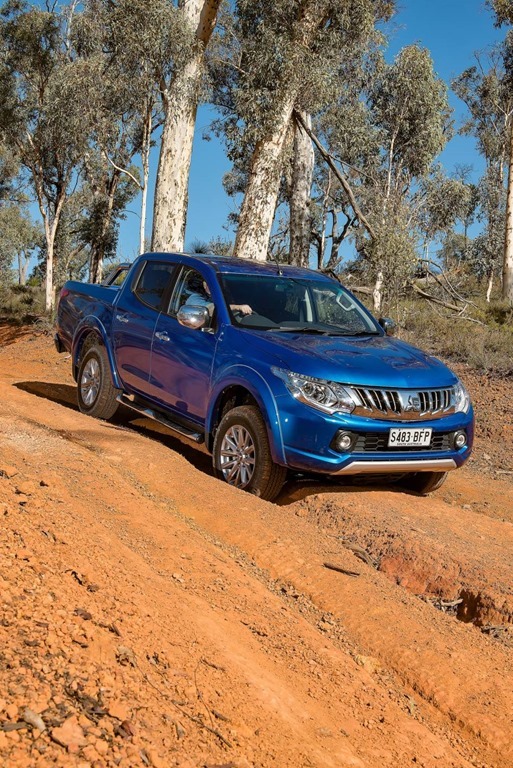 The leader of the pack Hilux with 18,479 has sold so far this year, then Triton with 17,741. 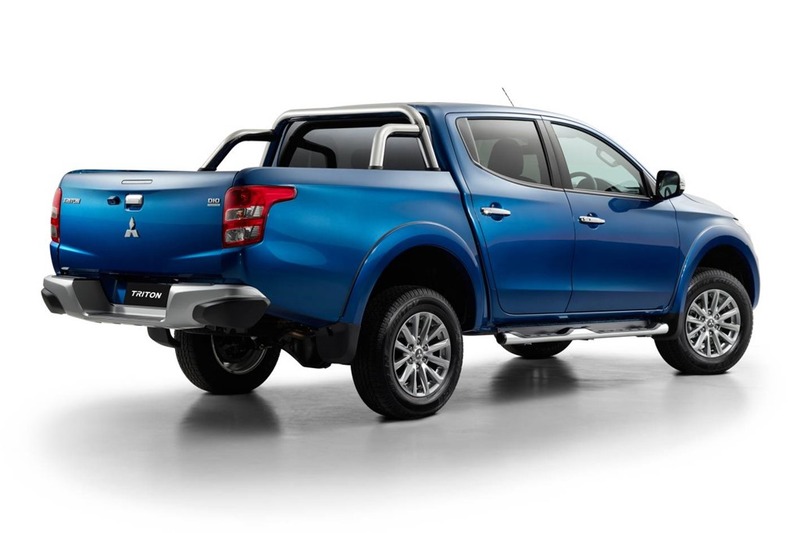 Next is Ford’s venerable ranger with 16,599, which surely says the segment is solid. Ranger is up 7.3%, but Triton is a massive 24% increase over figures this time last year. 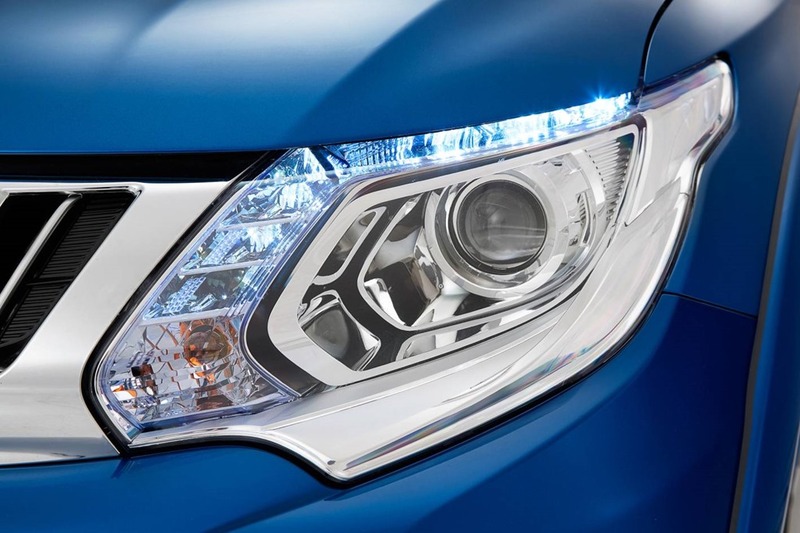 Perhaps Toyota should be a little worried with Hilux down 10.1%. 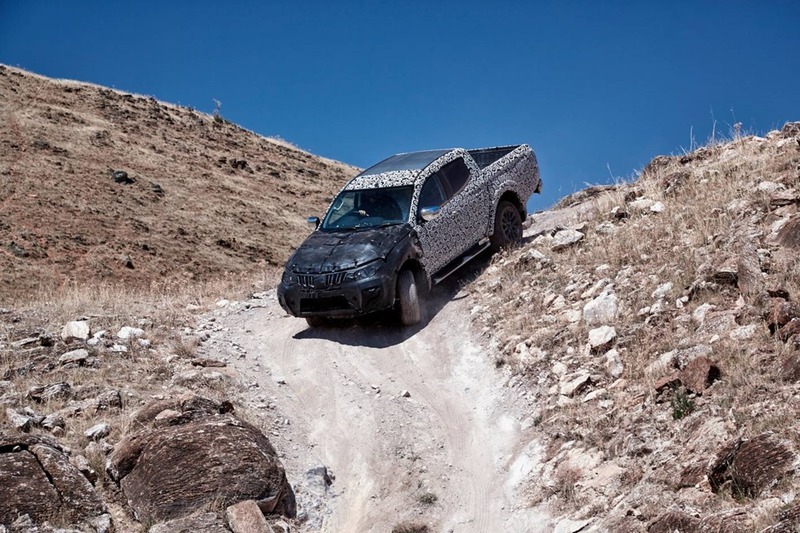 There are 2 wheel drive versions available too for those who want the space but don’t need to be boasty-pants about being able to scale big rocks in a single bound. Would I buy one? 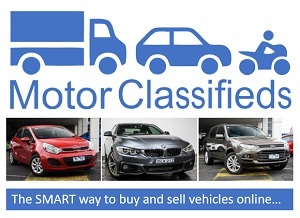 Yes but I’d make sure Colorado, Hilux, Amarok and Ranger were also given the once over. They’re all in the running and it would come down to what’s got the most tech for the money since they all drive similarly. 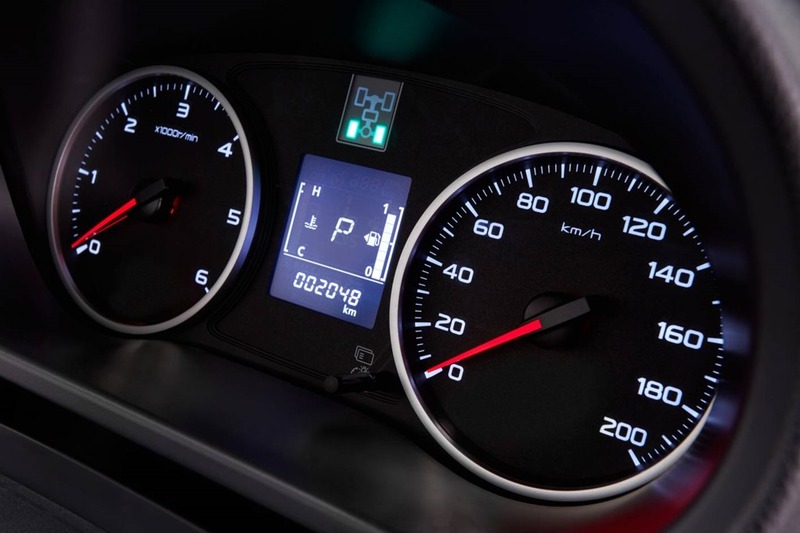 Peugeot Citroen to publish real world fuel figures.